1. Create a back-to-school budget to guide your spending. Building a back-to-school budget will keep you focused when shopping — and help you avoid buying unplanned items. 2. Scout out school supplies you already have before going to stores. A key to save money on back-to-school shopping is simply to audit the supplies you already have. While you find useful items, make a list of all the pens, pencils, notebooks, highlighters, art supplies, backpacks, and other necessities. You can also spend some time checking out closets and dressers to find out what clothing still fits. 3. Take advantage of stores that price match to save extra money on school essentials. Stores like Walmart and Target will often price match — which means it’s a good idea to compare prices on school essentials with different retail and online stores. If you find better deals online, talk with customer service to show them the discount at another store to receive a price match. You can also set price alerts on websites like CamelCamelCamel.com to track Amazon.com pricing to know when is the best time to buy a particular item. 4. Check to see if your state has a sales tax holiday. One of the best ways to save a little money on those purchases is to shop during your state’s sales tax holiday when sales tax is waived on certain items. Not all states offer them, but keep an eye out, because your state may make a last-minute announcement. 5. 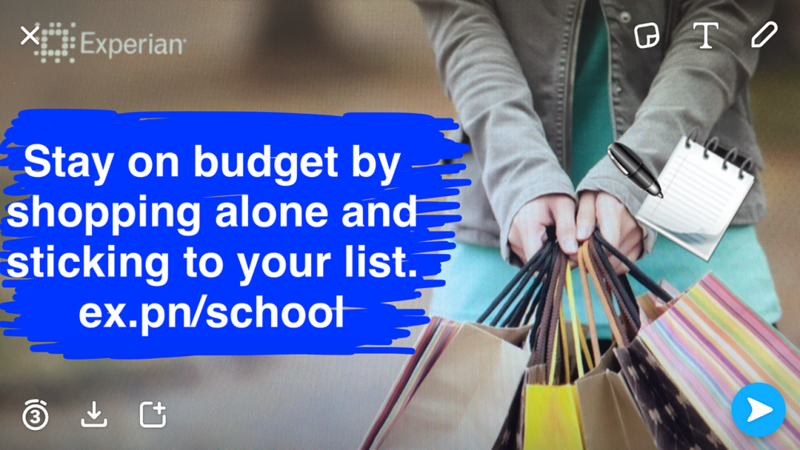 Stay focused on your back-to-school shopping list by shopping alone. One strategy to help you shop faster – and help you stay on budget is to shop without the kids (if possible). Shopping alone can help you be strategic as you shop down the aisles and focus on the necessities you need (e.g. school supplies, electronics). As children get older, they will want to be involved in certain shopping decisions (e.g. clothing, shoes), which is an opportunity to teach them about budgeting. Most back-to-school spending is going toward clothing and accessories – so finding ways to lower spending on that category is key. If your child is old enough, you can give them a certain clothing budget and take them to second-hand store to buy things they want. Another option is to organize a clothing swap with other parents you know — or consider selling older clothes at garage sales or online.